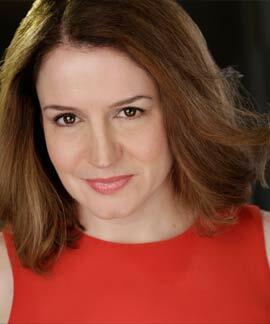 Award-winning actress Mary C. Ferrara caught the acting bug in her late 20s when she took an improv class on a whim. Along with being in several improv and sketch comedy troupes over the years, Mary has done several plays and has 100+ independent film projects to her credit. Some of her favorite roles include Barbara in August: Osage County, Helena in A Midsummer Night's Dream, Larissa in the web series Family Problems, Katie in the web series World's Worst Director, as the woman in the short sci-fi film The House, Candy in the web series Magicland, and Debra in the short film Cold. She has trained at such notable places such as Upright Citizens Brigade, ImprovBoston, Improv Asylum, New Repertory Theater, Boston Casting, CP Casting, Company One, and the Oxford Shakespeare Company; and has received coaching from notable Boston-based actors such as Karen MacDonald, Paula Plum, Bobbie Steinbach, Dossy Peabody, and Lau Lapides, as well as from Steve Blackwood from Days of our Lives, Kevin McDonald from Kids in the Hall, NYC's Tom Todoroff, Rhode Island's Alessio Cappelletti, LA's Todd Stashwick from 12 Monkeys, and Tony Winner Michael Cerveris. Mary has also worn different hats such as a producer, director, and writer. She helped produce, direct and act in the short film "Candlestick Justice;" and wrote, directed, and acted in the short film "Schmoopie." Both have won several awards on the festival circuit. Her script "Red Shirt" has gotten into several festivals as well as won awards; she hopes to produce it in 2019. Also her play "Eliza" was performed as a part of "Barstool Stories" in June 2018. In early 2018, Mary formed her own production company called Call it a Whim productions. She also established representation at The Brock Agency.